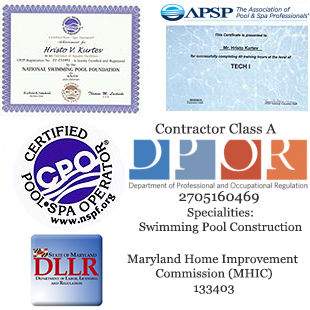 Let's start by saying that replastering your inground pool can be challenging, and is a job that is often best left to the professional service company, such as Subcomm Pools. However, if you are dedicated to doing this task yourself, this article gives some useful tips. It also contains useful information for anyone who has an inground pool. 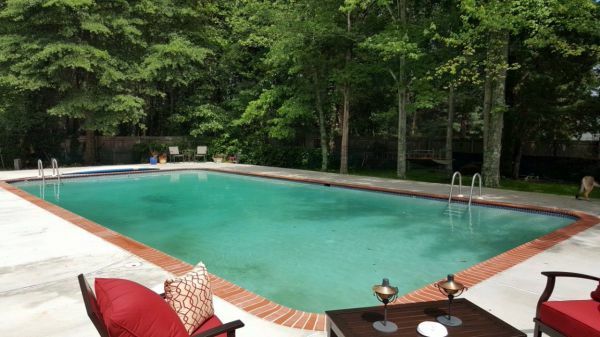 Under normal conditions, an inground pool will need to be replastered every 8-12 years or so, with some plastering lasting as long as 20 years. Pools that are maintained properly year round will last longer (often years longer) than those pools that are not maintained properly. One of the most important things owners can do to help get the longest life from their plaster is to maintain the proper water chemistry. If you notice that your plaster is turning tan or green when it should be blue, it is time to consider replastering. You should not attempt this unless you are thoroughly familiar with the steps necessary to do this safely. Draining your pool can cause serious damage to it's structure. After draining your pool, open the hydrostatic relief valves. You will find these at the bottom of the pool at both ends. You may have to chip the plaster off of them to get to them, but do make sure you do this part as ground water pressure under your pool may cause your pool shell to come loose and lift up. Removing these plugs allows ground water to come into the pool thus eliminating the pressure. Also, it is a good idea to de-chlorinate your pool water anytime you plan to drain the pool. In some areas, this is the law. When the pool is as empty as it is going to get on its own, rent a sump pump to get the remaining water from the pool floor. You will also need to cut the interior power to the pool if you have underwater lights or any other electrical devices that are inside the pool itself. Never use electric tools or lights while there is still water in the pool. If you drop your electric tool or the light falls into the water...well, you get the picture. Many swimming pools have a band of ceramic tiles that run around the top part of the interior pool. If you plan to keep these tiles, you will need to rent a diamond blade grinder and use it to cut a ? inch line right beneath the tiles. Make sure you are wearing eye protection. Use an air chisel (or a hammer and chisel) to chip away the plaster, keeping the area as smooth as possible. Start about one inch below the cut you made under the tiles and use an upward movement to remove the old plaster. You will need to have something to stand on when you get to the deep end. The next step is to chip the plaster away from any drain fittings and return ports. Also chip around any light fixtures/niches that are in the pool. All of these prep tasks can be dangerous, but this step can be especially dangerous if you are not careful. You should consult with a pool supply vendor to get the right type of acid, usually muriatic acid as well as all of the safety gear needed. This includes proper gloves, respirators, eye protection, and acid neutralizer. Make sure everything is out of the pool, including ladders, and pour the acid down the walls of the pool while you stay up on the deck. Start your pour below the tiles (where you already chipped away the old plaster) and let it run down onto the pool floor. Follow the acid directions and let it stand for the recommended amount of time. The acid will etch the old plaster as well as remove most of the existing plaster. You need to do this in order to have a good surface for the new plaster to adhere to. You can also apply the acid via a spray gun (make sure you are wearing rubber boots) and hit the smaller areas by using a watering can. Next, you need to get the old plaster off the surface by using putty knifes, spatulas, and a really good scrub brush with long handle. The surface needs to be etched but not too bumpy. Use the appropriate neutralizer (often soda ash) for the brand of acid you used. These products can come in powered form in which you toss the product onto the surface; or they may come in liquid form where you spray it onto the surface. In either case, follow the directions. With soda ash, use 2 pounds of dry soda ash for every 1 gallon of acid that you use. Using a water hose with good pressure, spray off the surface to remove any debris. Big debris should be shoveled up; small particles can go down the pool drain. Use a sealing compound around all of the fittings and drain. This is about as far as the average pool owner can get in the replastering job. The next step is to apply the bond coating and this must be done quickly. Usually too quickly for one person to do who is not experienced. Apply a bond coat containing cement glue to ensure that new plaster will adhere to old plaster. Lastly, the plaster arrives in a truck and it is pumped into the pool as well via spray guns and must be smoothed out before it dries. Again, this is something that one or two people cannot do with any hope of success. If there are delays in getting the finished plaster up or if there are delays in getting the pool quickly refilled, problems will arise which can include water marks on the walls, plaster failing altogether, and short life of the plaster.